CARFAX 1-Owner. EPA 24 MPG Hwy/17 MPG City! Third Row Seat, CD Player, iPod/MP3 Input, Satellite Radio, Keyless Start, Onboard Communications System, Smart Device Integration, Back-Up Camera, ENGINE: 2.3L I-4 ECOBOOST, EBONY BLACK, UNIQUE CLOTH BUCKET SEAT... Rear Air CLICK ME! Third Row Seat, Rear Air, Back-Up Camera, Satellite Radio, iPod/MP3 Input, CD Player, Onboard Communications System, Keyless Start, Smart Device Integration. Rear Spoiler, MP3 Player, Keyless Entry, Privacy Glass, Child Safety Locks. ENGINE: 2.3L I-4 ECOBOOST Tires: P245/60R18 AS BSW Low Rolling Resistance, WHEELS: 18 PAINTED ALUMINUM (STD), EBONY BLACK, UNIQUE CLOTH BUCKET SEATS 10-way power driver seat w/power lumbar and recline. 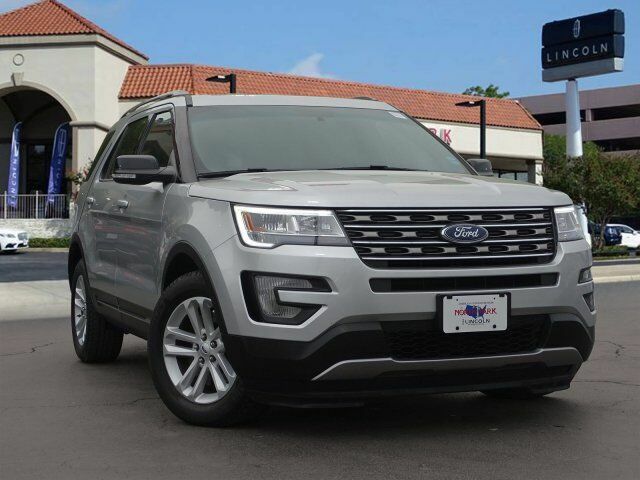 Ford XLT with Ingot Silver Metallic exterior and Ebony Black interior features a 4 Cylinder Engine with 280 HP at 5600 RPM*. Edmunds.com`s review says Materials are attractive and luxurious, with a soft-touch dashboard and precise-feeling controls. The front seats welcome a wide variety of body types, and the cabin is particularly quiet as well.. Great Gas Mileage: 24 MPG Hwy.